When in Manila, we always long for vacation to faraway places in the Philippines, especially when stress gets the best of us. We all need a break from work or school, but time seems too little to sneak in a roadtrip. Thank God there are places in the Metro that offer a taste of vacation spots to have our short sweet escape. Just like how K&L Cafe brings us to Baguio City up north. 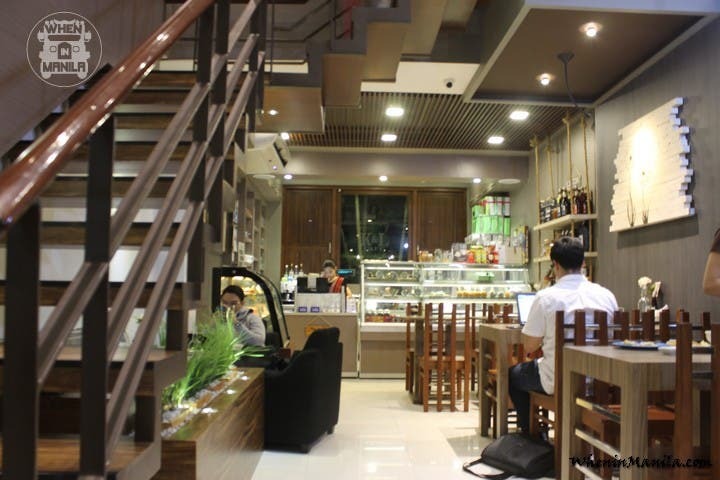 K&L Cafe sits at White Plains in Quezon City, a spot where you’ll feel all cozy and warm with a not-so busy street, nice, comfy interiors and great, delicious specialties all inspired by owners and sisters Karen and Loren (thus, the name) hometown. You’ll instantly be transported to Baguio City minus the 7-hour drive! Chic, wooden furniture and a snug ambiance completes the package (I dream of the scent of pine trees as well!). 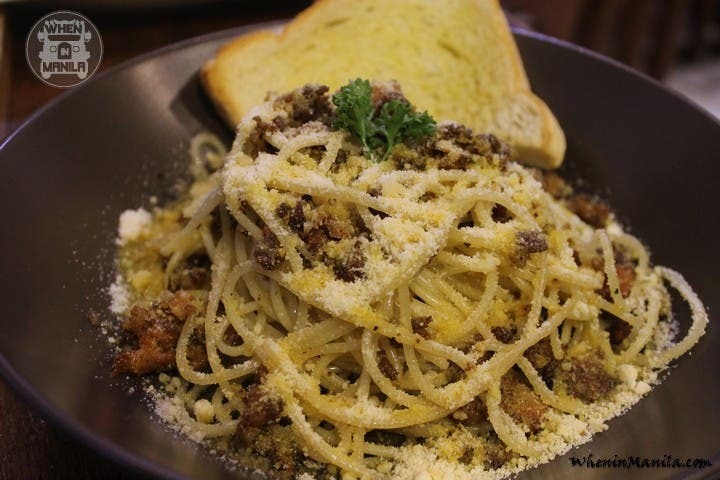 And while you’re just meeting with a friend or finishing those papers for an upcoming presentation, K&L Cafe offers new (as well as well-loved) items on their menu to satisfy your Baguio cravings. Health-conscious people will favor the Session Salad with Strawberry Vinaigrette (P175). Fresh greens, cucumber, cheese, croutons and surprise bits of peanut brittle makes this a mix of sweet and satisfying. Breakfast-lovers, on the other hand, will love the Ultimate Red Velvet Pancake (P295). Your favorite brekkie in red, soft, fluffy pancakes with generous spread of cream cheese frosting. One of my favorites. If you opt for a light snack, relive your childhood summer at Burnham Park and order the Burnham’s Grilled Butter Corn (P85) served with butter, cheese, and salt. For snacks with buddies, try the Bacon, Tomato & Arugula Pizza (P339). Although it’s thin-crust, it’s kind of chewy also, which matches it’s cheesy topping, balancing all the flavors in this pizza. When you’re going solo, though, enjoy a serving of Longanisa Locale Pasta (P219). If you want more company, though, bring your family and bond over their bestsellers: Daddy’s Bourbon American Ribs (P295) and Lola Nena’s Adobong Puti (P209). The ribs is super tender that the meat falls off the bone, and boasting of flavors from their special sauce. The Adobong Puti is the only recipe you’ll see here in Manila, so don’t pass up on the chance to taste its difference! Down all those good food with equally good drinks. The Famous Strawberry Calamansi (P95), Iced Baguio Choco Tablea (P125), and Grandma’s Iced Vanilla Milk (P95) will leave you wanting more, thus a second trip to K&L Cafe, and a third, and more might just be in order. What I loved about this cafe is they source their ingredients from — yes you guessed it — Baguio. Nothing but quality offerings for their guests. Plus, check out their dessert display to satisfy your sweet tooth! Hanging out at this cafe is definitely a relaxing and fulfilling experience. 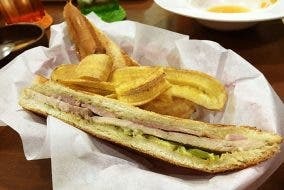 So if you want a taste of Baguio, or need a break, or plain craving for good food, go and visit K&L Cafe. P.S. They sell Baguio pasalubongs, another reason to love this cafe. Opens Mondays to Sundays, 7 A.M. to 10 P.M.